While Apple’s 2018 iPhone flagships are still a few months away, multiple previous reports allege the company is working on a next-generation refresh of the iPhone SE. Rumors of an iPhone SE 2 have for the most part conflicted since they began circulating last year, with some indicating the handset will feature a major redesign over the original iPhone SE from March, 2016, and others hinting at more under-the-hood specification enhancements with little in the way of design change. arlier this week, leaker Benjamin Geskin indicated that the so-called iPhone SE 2 has already entered mass production, and will boast a slightly modified design featuring a glass back which will enable Qi-based wireless charging much akin to Apple’s iPhone 8, 8 Plus and iPhone X. 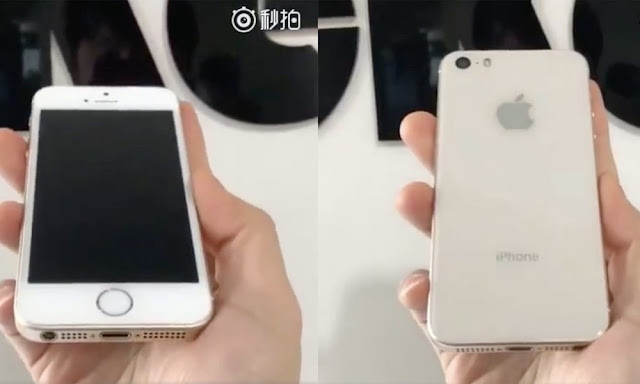 Now, images uploaded to Chinese social media, which were shared exclusively by Letemsvetemapplem, purportedly show a fully assembled iPhone SE 2 — not only flaunting the aforementioned glass-back design, but also a 3.5mm headphone jack on the bottom. While it’s nearly a certainty at this point that an iPhone SE 2 is indeed on the horizon, it’s worth pointing out that these images are coming from Chinese social media — and so their authenticity, while seemingly spot-on, cannot be confirmed right now. Still, given the rumors and reports spearheaded by multiple analysts and insiders thus far, it’s more than likely what we’re looking at is the upcoming iPhone SE 2. 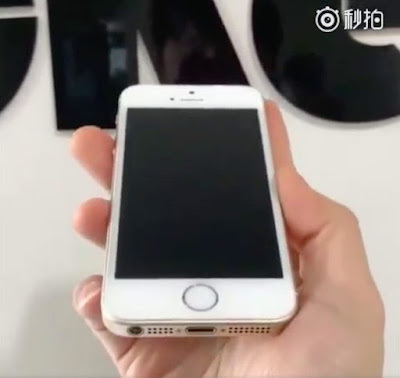 Notably, the device pictured in today’s images features a full glass back construction while maintaining the same overall footprint and form-factor of Apple’s original iPhone SE. Around back, there’s also a dramatically diminished presence of rear-markings including a simple “iPhone” designation and lack of FCC inscriptions — lending credence to an earlier report that Apple could be making big changes to the way it brands its iPhone devices in 2018 and beyond. Around front, it doesn’t appear that much has changed from a design standpoint as the handset pictured boasts the same 4-inch display, Touch ID-embedded Home button and a front-facing camera configuration similar to its predecessor. While it was rumored by some previous reports that Apple would do-away with the standard 3.5mm headphone jack on iPhone SE 2, today’s photos unmistakably show that a headphone jack is present. Regarding its under-the-hood upgrades over the previous generation iPhone SE, the SE 2 is rumored to feature an upgraded chipset — perhaps an A10 Fusion replacing the ages-old A9 — alongside other component tweaks possibly paving the way for certain augmented reality (AR) integrations. Current rumors have the iPhone SE 2 refresh pegged for a possible May 2018 announcement, citing that the handset has already entered mass production. However it’s also possible we could see the device unveiled during Apple’s keynote at the Worldwide Developers Conference (WWDC) 2018 in early June.